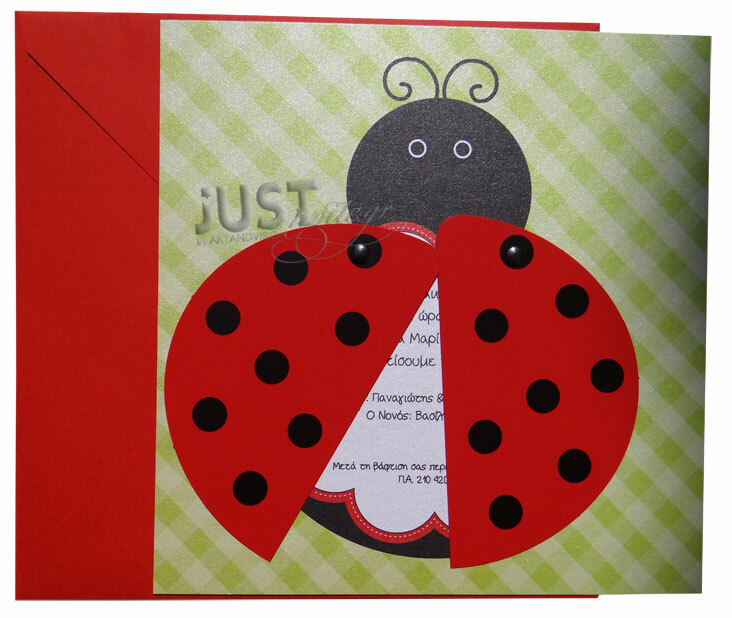 Hand-made Greek Christening invitations ladybug themed coming in a checked square card in chartreuse green colour with a ladybug opening its wings diecut. The matching envelope is classic square red and your personalised wording is printed in plain black colour. Size: 21 x 21 cm. https://www.preciousandpretty.com/2017/04/ladybug-themed-baptism-invitations-C1131.html Greek Wedding Favors|Orthodox Crowns|Stefana|Baptism Invitations Ladybug themed Baptism invitations C1131 Greek Baptism invitations ladybug themed for boy or girl Product #: Greek Wedding Favors|Orthodox Crowns|Stefana|Baptism Invitations_5102454007789330728 5 stars out of 5 reviews.